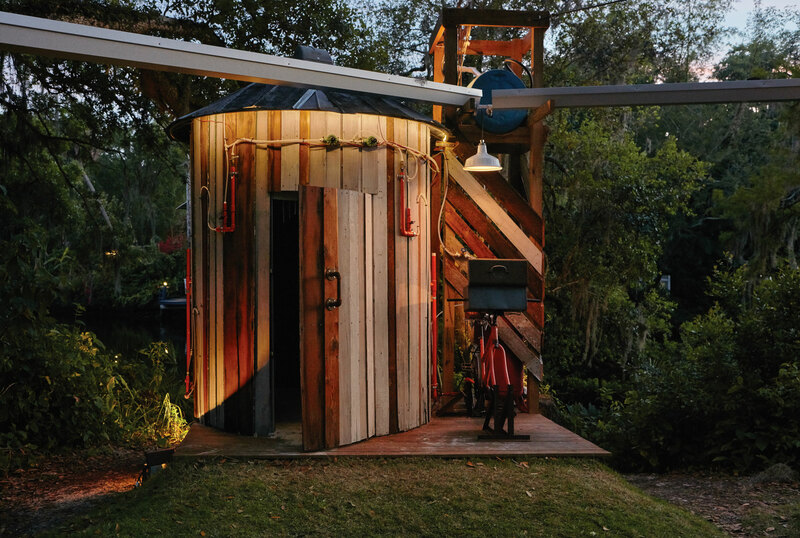 Children playing on the Lunar Tool Shed from The Music Box: Tampa Bay, Sulfur Springs, Florida, 2016. 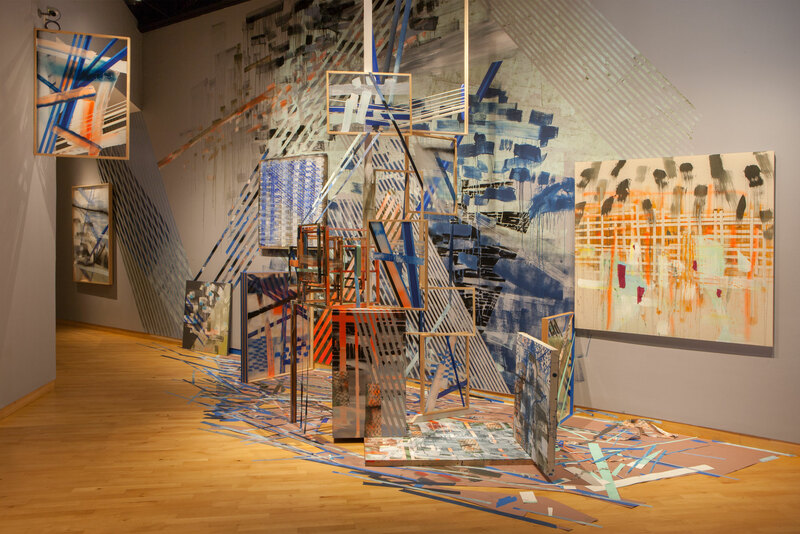 The USF Contemporary Art Museum is committed to exploring socially engaged artistic practice, focusing on collaborative and participatory forms of exchange with a broad range of artists, audiences and communities. Throughout its exhibition history, CAM has presented socially engaged projects addressing critical issues and representing diverse perspectives with the aim of educating and engaging new audiences and expanding communities. In 2013, CAM formally established a social practice initiative to further investigate this realm of artistic research that blurs the boundaries between traditional art-making disciplines, education and community engagement. These projects situate community members and museum visitors as co-creators of experiences initiated by artists in the interest of social change, valuing the process of establishing human interaction and collaborative relationships in a participatory exchange as the medium itself. Aiming to broaden the significance of museums to local communities, provide access and facilitate participation and engagement, the institution has expanded its activity beyond the confines of the museum into local communities. USFCAM faculty and staff have participated at a number of national conferences dedicated to social practice including Open Engagement in Portland (2013), Queens, NY (2014), and Pittsburgh (2015) where USFCAM presented Pedro Reyes’ legislative theatre project Amendment to the Amendment/(Under)stand Your Ground. In addition, USFCAM organized multi-day Creative Time Summit screenings (2014, 2015) in collaboration with the Museum of Fine Arts St. Petersburg and the Tampa Museum of Art presenting local educational programs and experiential workshops developed to complement the Creative Time Summit program, the leading international conference dedicated to exploring the intersection of the arts and social change. In 2016, USFCAM faculty attended the Creative Time Summit in Washington DC focused on art, social justice, and politics. In 2016, CAM formed the Art for Community Engagement (ACE) Fund to provide dedicated support of exhibitions and artist's projects with a focus on local community engagement. Current Patrons of the ACE Fund include Allison and Robby Adams, Frank E. Duckwall Foundation, Francesca and Richard Forsyth, Gobioff Foundation, Courtney and Jason Kuhn, Linda Saul-Sena and Mark Sena, Sharmila and Vivek Seth, and Stanton Storer. For Freedoms 50 State Initiative is an anti-partisan, national platform using art as a means for civic engagement, discourse and direct action. For Freedoms is inspired by Norman Rockwell’s 1943 paintings of the four universal freedoms articulated by Franklin Delano Roosevelt in 1941—freedom of speech, freedom of worship, freedom from want, and freedom from fear. 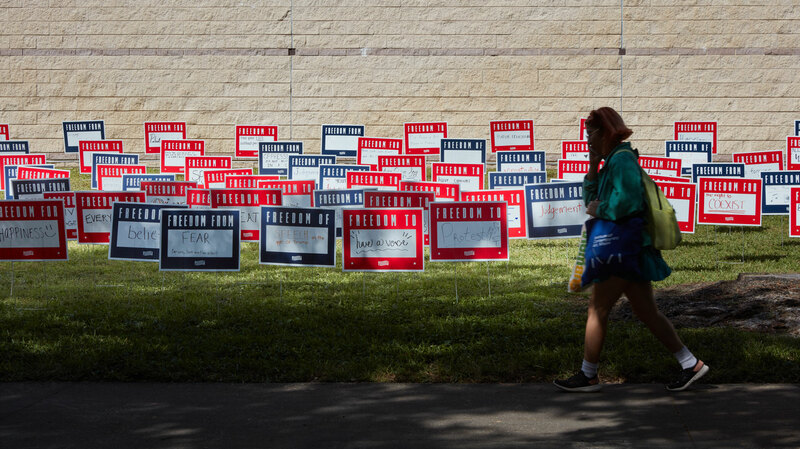 The signs displayed in the exhibition on the museum lawn were generated through a series of participatory events on September 26, October 17, and October 24, hosted by student-led CAM Club at the USF Bull Market, in which the public were invited to share their own vision of freedom. 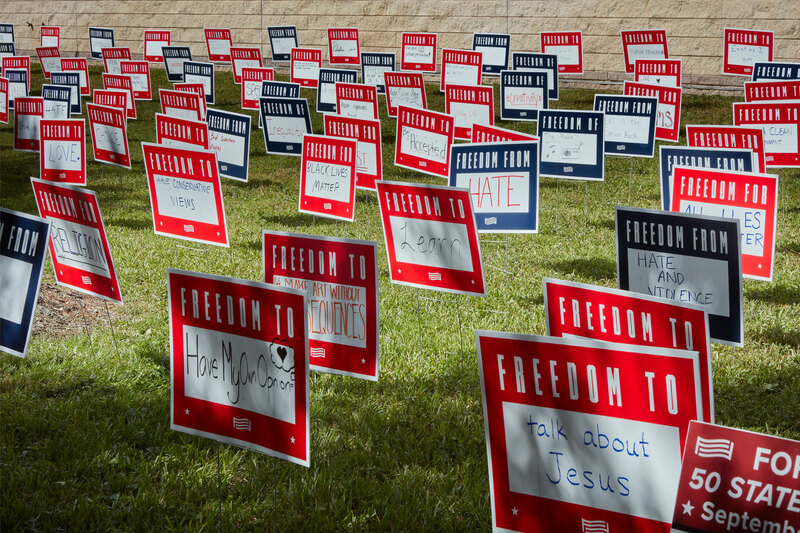 Harnessing the power of art and the visibility of political lawn signs, this installation represents a multiplicity of voices expressing a range of freedoms valued in our community. Founded by artists Hank Willis Thomas and Eric Gottesman, the For Freedoms Federation encourages new forms of critical discourse. For Freedoms’ mission is to use art as a vehicle to build greater participation in American Democracy. USFCAM's participation in For Freedoms 50 State Initiative is made possible in part with generous support from the Gobioff Foundation. Learn more about For Freedoms here. View the related exhibition page for For Freedoms 50 State Initiative here. Read the blog post about the project here. In conjunction with the exhibition Climate Change: Cuba/USA (January 12 – March 3, 2018), the USF Contemporary Art Museum organized a community workshop for local teens, from University Area Community Development Corporation (UACDC) Prodigy Cultural Arts Program, with visiting Cuban singer and hip-hop artist Danay Suarez. Combining her classical training integrated with Afro-Cuban beats and hip-hop influences from the street, Suarez possesses a soprano voice with a range across many vocal identities and styles from jazz and soul to rhythm and blues and rap. 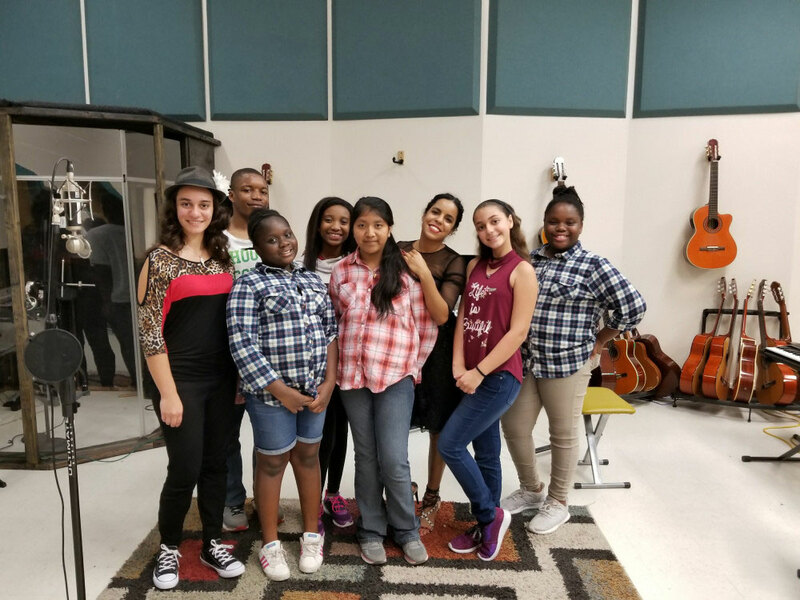 The vocal workshop series included four two-hour sessions resulting in a performance with Suarez and the students, at the UACDC facility, showcasing their talents and celebrating their collaborative experience with the community. 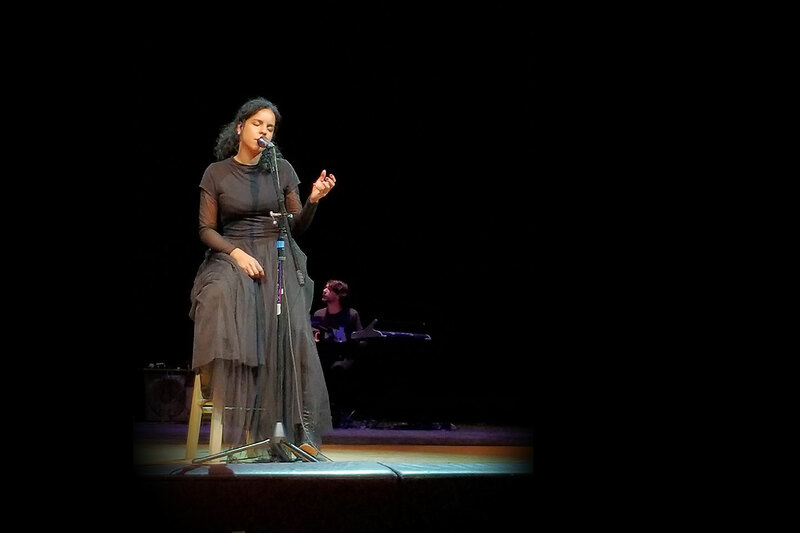 In addition to her engagement with the students from the Prodigy Cultural Arts Program, Suarez presented lectures at both Blake High School and the USF Tampa campus, sharing her experiences growing up in Cuba, and rise to fame in Latin music and beyond, with her socially conscious lyrics and message of hope and positive empowerment. Danay Suarez Biography: The main asset of this young singer, born in Havana in 1985, is her versatility, her ability to move from Jazz to Hip-Hop, to the island's traditional genres without any trouble at all. At the same time, she has the can evoke the sweet nothings of Nina Simone and Erykah Badu in a smooth, satiny formula in which the password is elegance. Tempered under the watchful eye of Aldo Rodríguez (Los Aldeanos), she developed artistically with the help of X Alfonso, until she took her giant step with the Havana Cultura Project, prior to the release of her first album, "Polvo de la Humedad" in 2014 (Universal Music, 2014). Since then, and after going through South By Southwest, Hip-Hop al Parque, LAMC, Central Park Summer-Stage, Ted Global Rio, Afro-Latino Festival, LEAF Festival, Méditerranée Festival Ashdod and Global Cuba Fest, all between 2013 and 2016, her acclaim has done nothing but grow, especially after the release of her second album, Palabras Manuales (Universal Latin Music, 2017), on which she collaborates with Stephen Marley (Bob Marley's son, and leader of Raggamuffin), Idan Raichel (Fusion master of Jazz, Electronic and traditional Ethiopian or Sephardic music), Aja Monet (Poet, Writer and precocious winner of the Nuyorican Poets Café Grand Slam) and Cuban pianist Roberto Fonseca. Her progression has been endorsed by La Gaviota de Plata de la Inspiración that she secured in the Viña del Mar Festival (Chile, 2017). Learn more about Danay Suarez here. View the related exhibition page for Climate Change: Cuba/USA here. Read the blog post about the community residency here. USF Contemporary Art Museum (USFCAM) is a participating institution in Pledges of Allegiance, a nationwide, year-long public art project featuring a serialized commission of flags created by acclaimed artists and presented by New York-based public art nonprofit Creative Time. Conceived in response to the current political climate, Pledges of Allegiance aims to inspire a sense of community among cultural institutions, and begin articulating the urgent response our political moment demands. 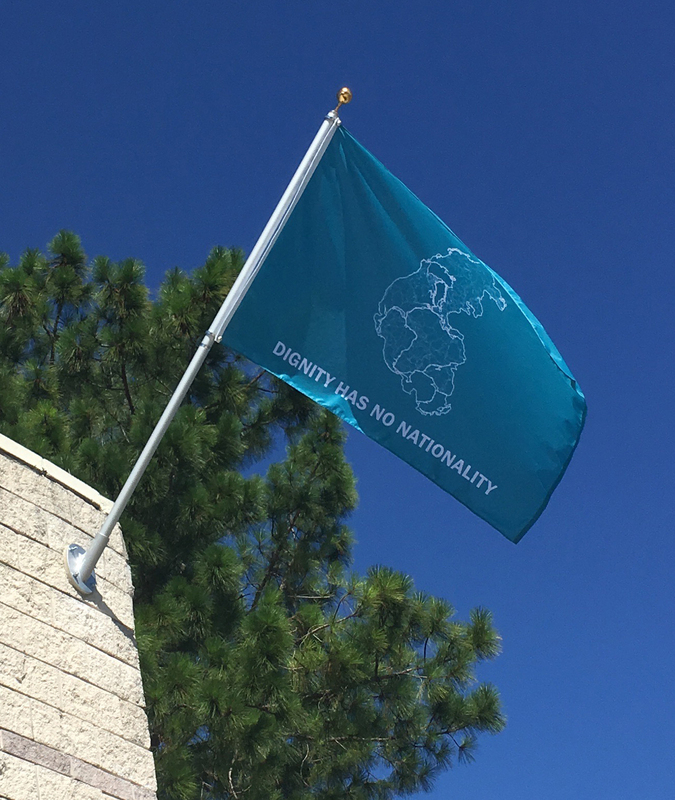 Throughout the year, USFCAM will mount a different artist-designed flag each month in coordination with Creative Time’s national public art initiative. Each flag embodies art’s ability to channel political passion, providing a symbol of allegiance around which to unite, as well as a call-to-action for institutions nationwide to raise upcoming Pledges of Allegiance flags in solidarity. This month, the flag was raised at USFCAM and the following four locations simultaneously: Creative Time headquarters at 59 E 4th Street and The Queens Museum in New York, Pennsylvania Academy of the Fine Arts, and the 21c Museum Hotel in Durham, North Carolina. Participating artists in Pledges of Allegiance include Tania Bruguera, Alex Da Corte, Jeremy Deller, Latoya Ruby Frazier, Ann Hamilton, Robert Longo, Josephine Meckseper, Marilyn Minter, Vik Muniz, Jayson Musson, Ahmet Ögüt, Yoko Ono, Trevor Paglen, Pedro Reyes, Rirkrit Tiravanija, and Nari Ward. Pledges of Allegiance was originally conceived by Alix Browne and developed in collaboration with Cian Browne, Fabienne Stephan, and Opening Ceremony. Learn more about Creative Time here. View the related exhibition page for Pledges of Allegiance here. In 2016, CAM presented soil-erg by Claire Pentecost as part of the Extracted exhibition, which investigated the role of natural resource extraction in the impact of humans on Earth and the precipitation of a new geological epoch, the Anthropocene. Pentecost's project, which proposed soil as a new form of currency to replace the petroleum linked dollar, consisted of three parts: a sculptural installation of ingots made from organic compost (soil “gold bars”); a series of paper currency drawings that feature under-sung soil heroes, including environmental scientists, animals from the food-soil web, labor activists and philosophers of ecology; and an off-site installation of vertical garden pillars at local community gardens. First developed for dOCUMENTA(13) in Kassel, Germany, in 2012, Pentecost’s project was realized in a new, site-specific version at CAM. Through hands-on research and interviews, she expanded her money bill drawings to include portraits of West Central Florida farmworkers and independent growers. 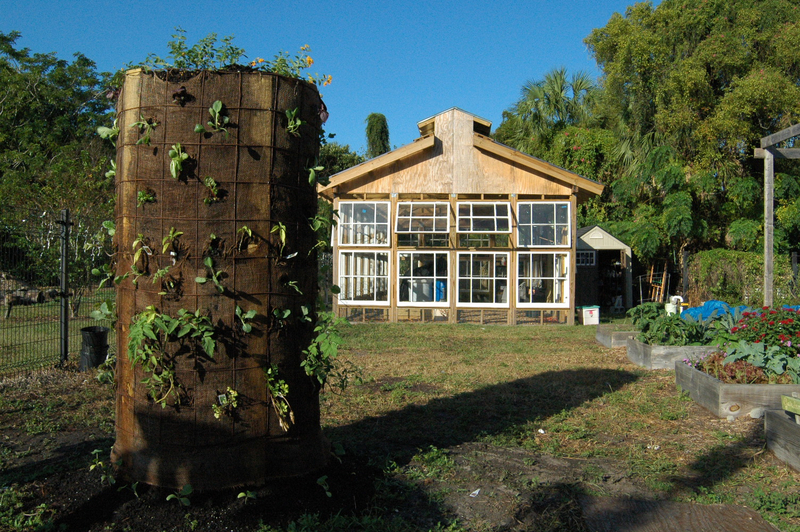 Vertical garden pillars—simple, economical gardening towers—were installed at three local community gardens with help and resources from community-based land artist Tory Tepp, the Tampa Heights Community Garden, the Temple Terrace Community Garden, the Tampa Bay Gardens, Tampa Heights Junior Civic Association, and the University of South Florida Department of Anthropology. Soil-erg transfers the value of the petro dollar to the soil and in so the responsibility of maintaining the soil to the people within a community. View the related exhibition Extracted here. In 2016, CAM presented The Music Box: Tampa Bay, a musical architecture project by visiting artists New Orleans Airlift (NOA). 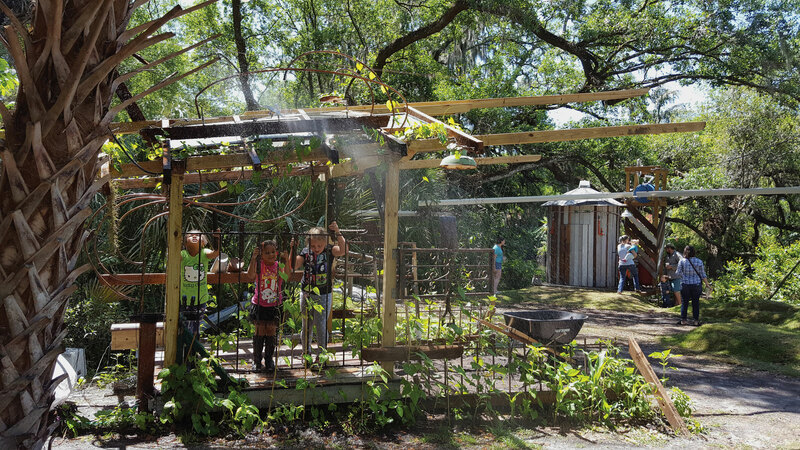 An interactive public artwork that fuses architecture, engineering, history and music-making, The Music Box: Tampa Bay was a performance space and site for exploration, experimentation and discovery at the Community Stepping Stones (CSS) site at historic Mann-Wagnon Park along the Hillsborough River in the underserved Sulphur Springs neighborhood of Tampa. 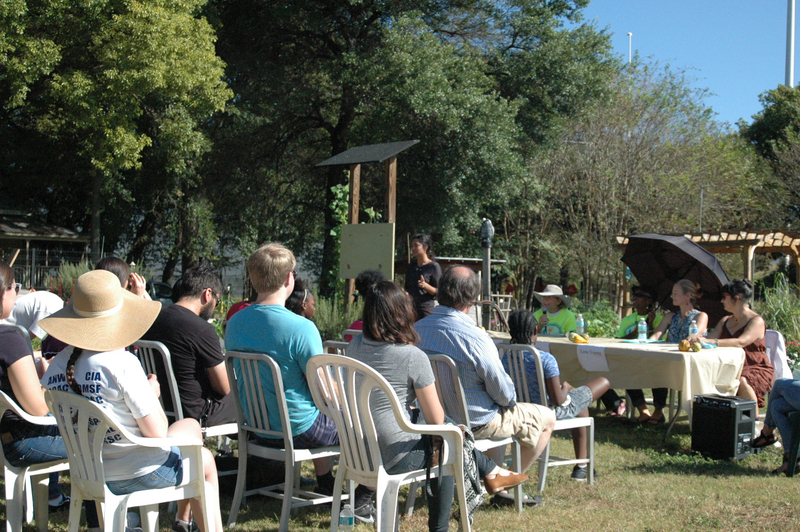 Free public programming at the site included musical and spoken word performances, talks exploring the history of the area, jam sessions, interactive tours and periods for open play. The Music Box: Tampa Bay was comprised of temporary structures with imbedded instrumentation designed to produce sounds when interacted with and performed by musicians and visitors. 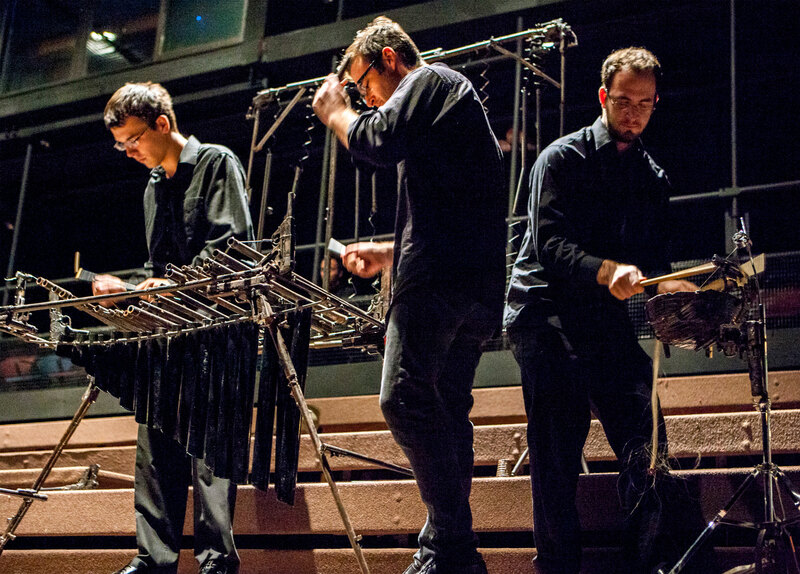 NOA collaborated with local artists Jan Awai, Devon Brady and Michael Lemieux from Livework Studios, and community-based land artist Tory Tepp to design and construct the musical village. Students from CSS and USF College of The Arts worked with the artists to execute the public art installation and presentations. View the related exhibition Amplified here. 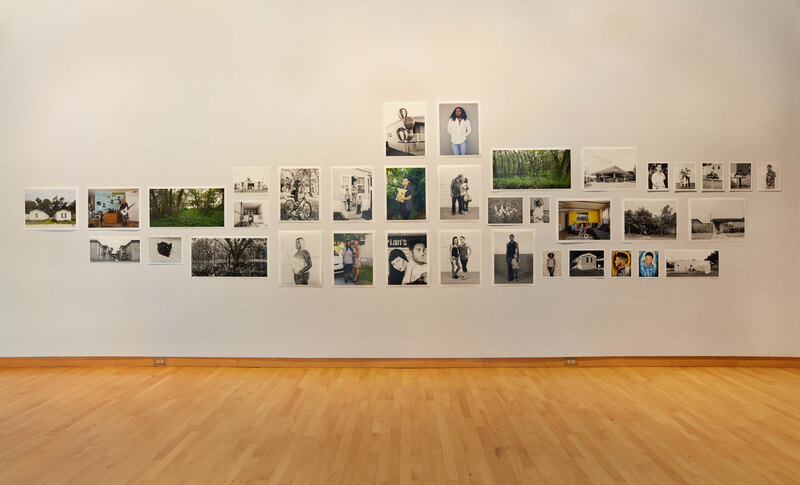 As part of the 2015 exhibition A Family Affair, that explored personal identity and complex family relationships, CAM presented the project Picturing Families with Detroit-based artist Corine Vermeulen. In collaboration with the University Area Community Development Corporation (UACDC), Vermeulen was in residence for three months, living within the ethnically diverse community surrounding USF where much of the population resides under the poverty line. As Vermeulen developed relationships with neighborhood residents, she invited them to sit for individual or family portraits, of which they received an archival photograph, in exchange for sharing stories about their experience living in the neighborhood. The resulting photographs were installed in the museum and a reception was held where members of the community were invited. For more information, check out the Picturing Families blog post. View the related exhibition A Family Affair here. 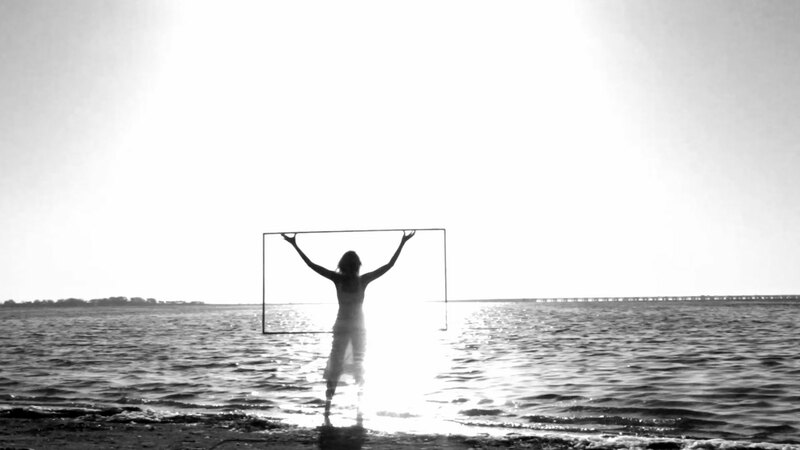 A Different Frame of Mind presented new work by seven artists that was produced using recycled picture frames donated by CAM as part of ongoing efforts to find new methods for sharing resources with the Tampa Bay community. Artists were chosen for the quality of their submissions in response to an open call for proposals. Over the course of the exhibition, the West Gallery served several functions: as a studio space where the artists could work, with the public invited to witness the creative process; as a location for framing and art installation workshops as the works were enclosed into the recycled frames; and as a traditional viewing space for the duration of the exhibition. View the related exhibition A Different Frame of Mind here. As part of the 2014 exhibition CAM@25: Social Engagement, CAM presented Pedro Reyes' legislative theatre performance Amendment to the Amendment: (Under)stand Your Ground. Legislative Theater is a specific form of theater developed by Augusto Boal meant to be used as a technique to resolve conflict by taking real-life situations to create innovative ideas on how laws should be modified in order to promote a more just society, thus resulting in the creation of new pieces of legislation. Everyone who attended the sold-out event was invited to participate in the performance, which was created by Reyes in partnership with USF Theatre professor Dora Arreola, and USF and Community Stepping Stones students, to encourage dialogue and address issues related to the Second Amendment of the Constitution of the United States. It is the shortest, albeit most controversial of all the amendments and was written in a historical context that is very different to the present day. It has been subject to much interpretation and this workshop was intended to propose an entirely different second amendment, rather than proposing the right interpretation for the existing amendment; simply put, an Amendment to the Amendment. View the related exhibition CAM@25 here. One Degree Celsius is part of a series of projects called Molecular Urbanism developed by Torolab, a Tijuana-based consortium of artists, architects and designers. 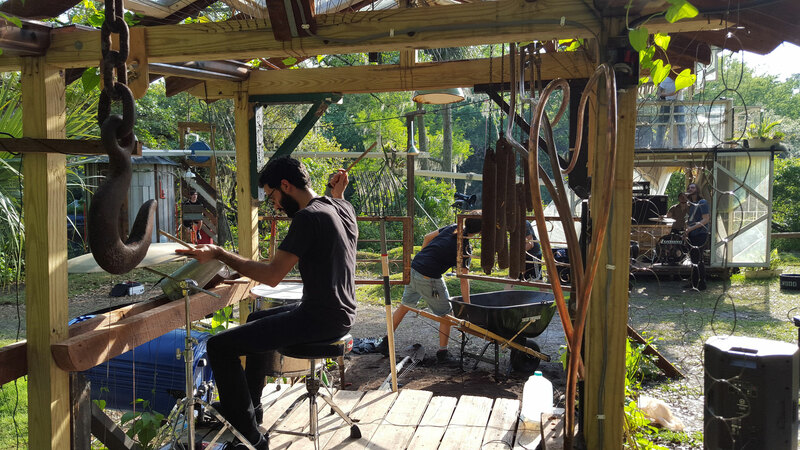 For USFCAM, the artist collective morphed the gallery space into an actual proposal and a laboratory for creative experiments investigating the multiple uses of a garden. 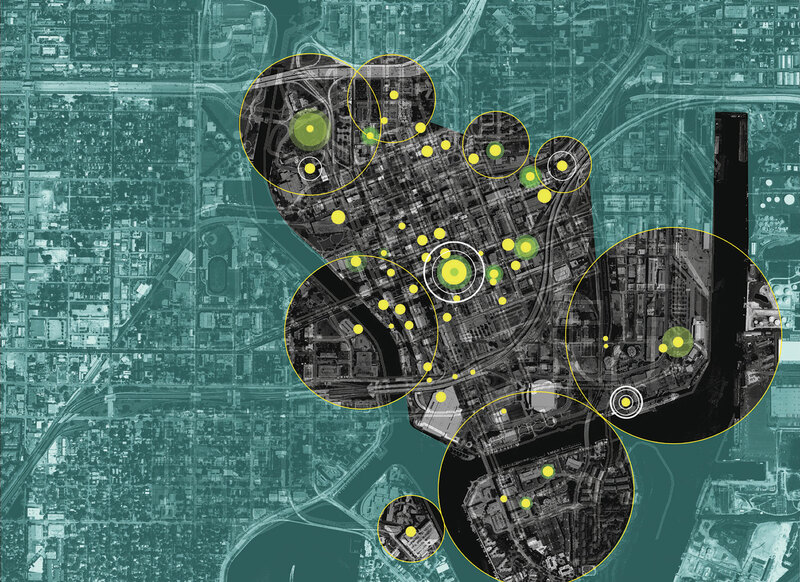 The exhibition included drawn proposals for large-scale architectural interventions (on the USF campus and downtown Tampa), displayed with functional sculptural elements. 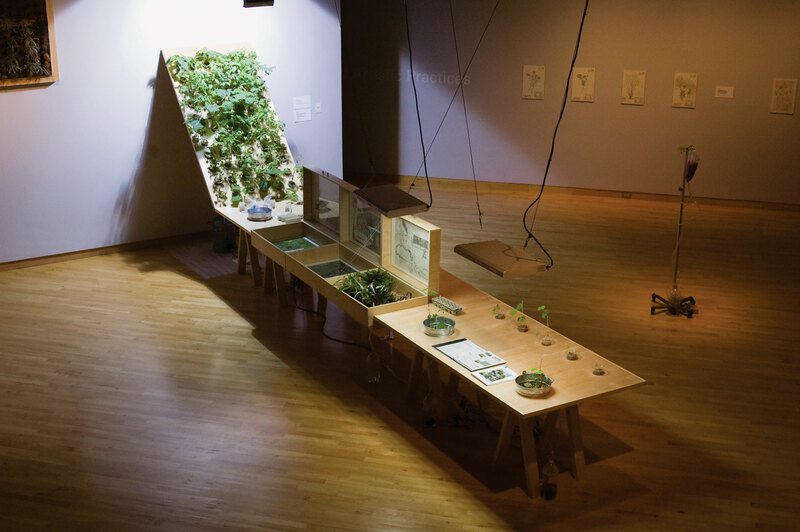 Illustrating a system of insertions and communications, the artists envision the creation of multiple bio-ecological environments within specific architectural urban voids, intended to have a transformative long-term positive impact upon the local climate, human interaction and disposition, and the city’s physical and socio-cultural condition. Concurrently, CAM presented a series of film screenings that illustrated various socially-engaged projects, including: Park Fiction – Desires Will Leave the House and Take to the Streets (1999) directed by Margit Czenki; THIRD WARD TX (2007) directed and photographed by Andrew Garrison; and Water Water (2005) by Navjot Altaf. Each film manifested diverse artistic interventions and collaborative methods employed by artists to engage specific communities and address particular social, economic and political issues. Whether in Houston’s Third Ward, Texas, Hamburg, Germany, or Bastar, India, artists actively engage various constituencies, aiming to improve quality of life. Focused on the multifaceted implications of socially-engaged art, CAM hosted scholars, curators, artist collectives, architects, and social scientists in a one-day colloquium and platform for exploration of art as catalyst for social transformation in contemporary society. View the related exhibition Torolab: One Degree Celsius here. 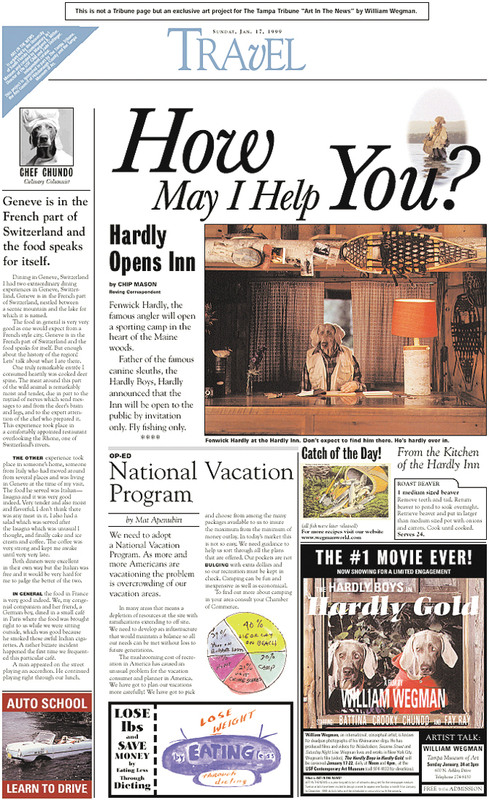 Art in the News was a yearlong exhibition of artworks conceived for the context of a daily newspaper. 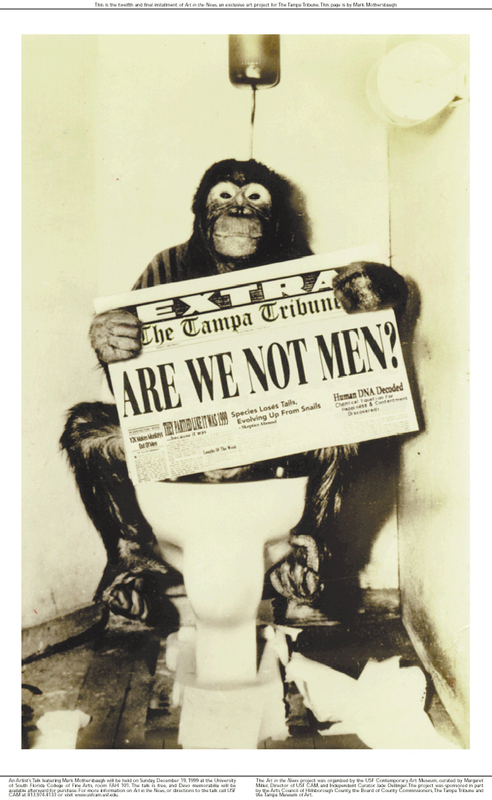 Art in the News took the form of a full newspaper page designed by an artist in consultation with CAM staff, and distributed via The Tampa Tribune to 330,000 subscribers once per month on Sundays during 1999. Following each publication, the artist traveled to Tampa to give a public presentation about his or her work at the Tampa Museum of Art. Art in the News was intended to get art out into the community and engage an audience that may never before have set foot in an art museum. 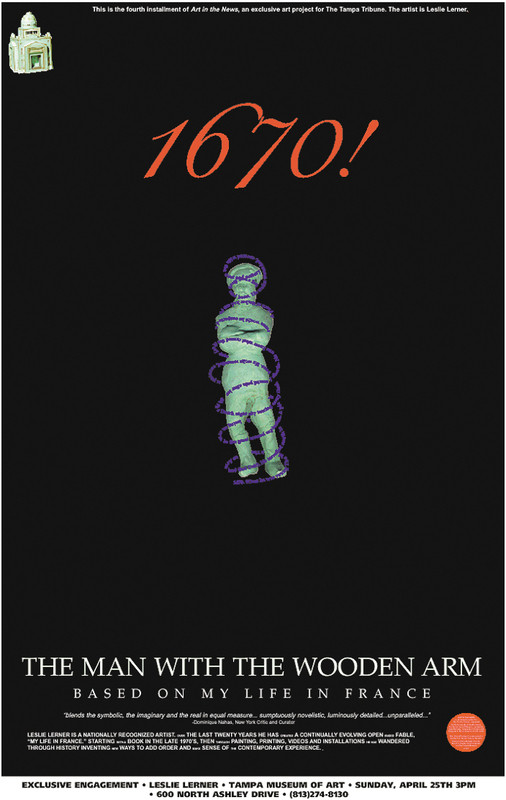 The project featured, in order of publication, artists William Wegman, Lucy Orta, Matthew Barney, Leslie Lerner, The Art Guys, Allan McCollum, Ed Paschke, Andrea Zittel, Keith Edmier, Lorna Simpson, Mariko Mori and Mark Mothersbaugh. In 2000, the Museum of Modern Art (MoMA), New York, acquired Art in the News for its permanent collection. View the related exhibition Art in the News here. InsideART is a free web-based visual literacy program integrating social studies and contemporary art in an examination and discussion of critical societal issues. 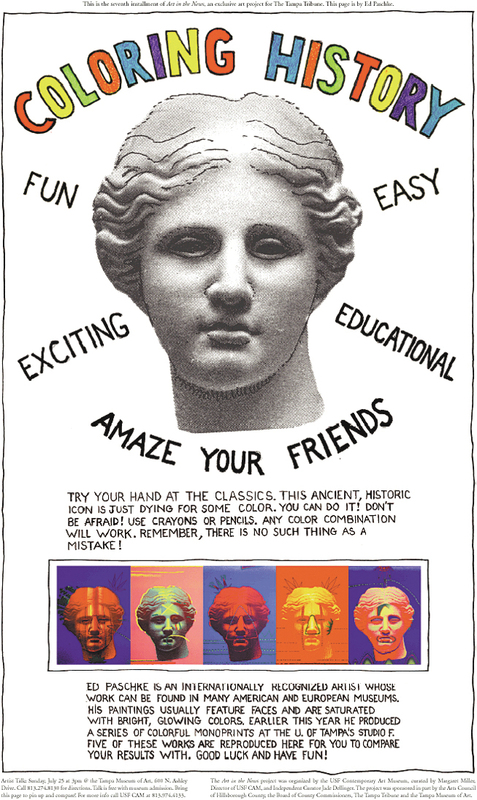 It is a learning-based initiative, designed for secondary school classroom use, associated with USF Contemporary Art Museum's exhibition program. InsideART presents critical issues to students and invites them to engage and connect with these issues in the context of contemporary art. By exploring art that encompasses a variety of relevant topics, students are allowed to move from the role of spectator to that of engaged viewer and then participant, and encouraged to build interpretive skills vital to success in learning. The program was created in 2010, and now has nine editions available free of charge to all teachers on the CAM website. 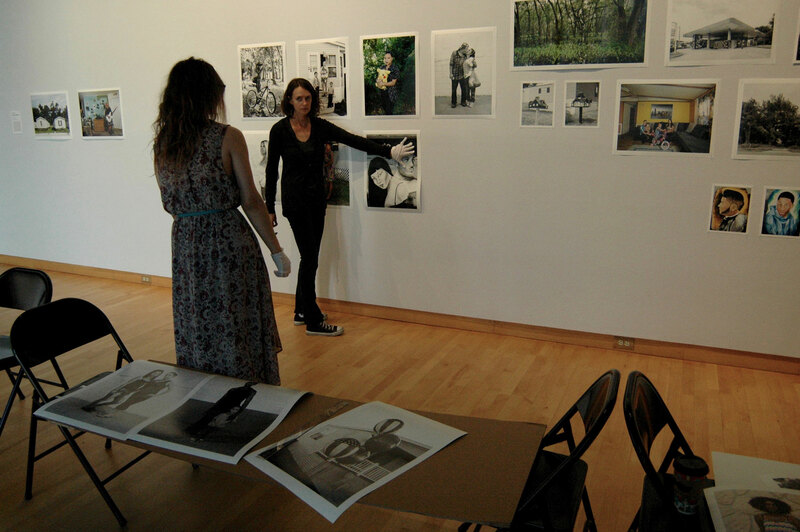 The InsideART program is a collaboration between faculty and staff in the USF Contemporary Art Museum, the USF College of Education and the School District of Hillsborough County. In 2001, USF Contemporary Art Museum started a partnership with Howard W. Blake High School, a magnet school for the Communication, Visual and Performing Arts located in downtown Tampa, to provide access to contemporary artists and their work, in an exploration of cultures, identities, history and places. Each year, CAM hosts guest artists at Blake High School for a presentation about their backgrounds, and artistic strategies, accompanied by visual presentations of their body of work. The presentation is followed by a Q&A session between the artists and students. In addition, artists’ visit classes and studios to review students’ work and to discuss education and career paths available to them. CAM then organizes a College of The Arts day for Blake students at USF. They visit the exhibition in which the artist is presented, tour the entire museum including the “behind the scenes” areas where staff work on a daily basis, visit USF’s internationally-recognized fine art print and sculpture studio Graphicstudio, and tour the School of Art and Art History with Faculty and graduate students to discuss college life. Gallery 501 Director Amanda Poss and CAM curators collaborate to present an annual exhibition based on works from the CAM permanent collection side by side with works by artists living and working in the Tampa Bay region. In 2015 the exhibition Quince Artistas/Fifteen Artists focused on work by Latin American and Caribbean artists, and included four artists from the area. In 2016, the exhibition was entitled Both Near and Far, with works signaling a sense of place in a diverse array of meanings, with three area artists contributing works to complement the CAM works. Every exhibition is accompanied by a brochure with essay and checklist, a gallery talk, an artist/curator conversation, and an opening reception. Blake students are invited to create responses to the exhibitions, which are posted on the USFCAM blog. USFCAM established a new partnership and educational opportunity with VSAFL and their My Art My Way artist in residence program. This residency program partners a teaching artist with the museum and facilitates the engagement of Hillsborough High School students with disabilities with the exhibition program. The students visit the museum and are introduced to the concepts and processes presented in the exhibition on view. Building on those ideas, the teaching artist leads students through a series of hands-on activity sessions to engage students in various art forms, introduce and develop new skills, and facilitate the arts as a means of self-growth. Students then create their own artwork inspired by the museum exhibition and have an opportunity to exhibit their work at the museum with a dedicated reception. The My Art My Way artist in residence program is funded in part by the Florida Department of Education – Bureau of Exceptional Education and Student Services, the Florida Department of State – Division of Cultural Affairs, and through various contracts, grants and private donations. 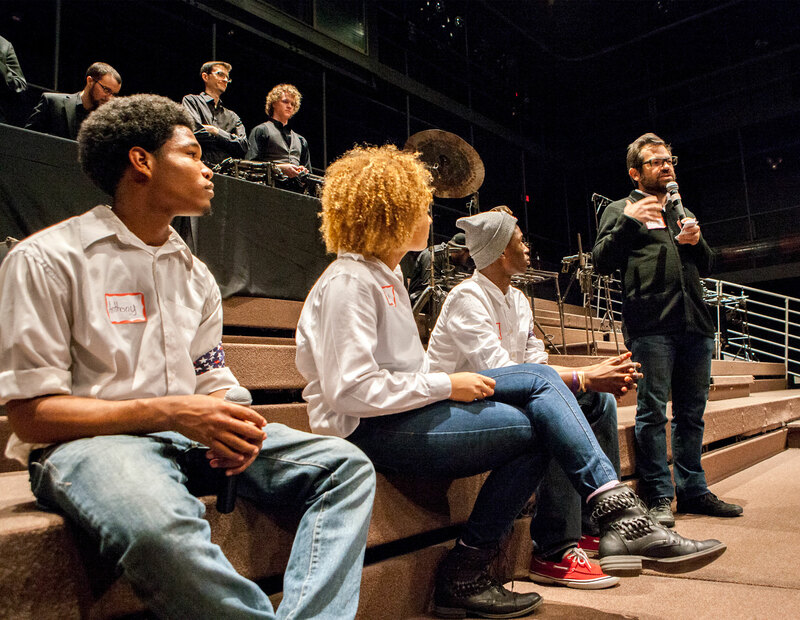 Donate now to support socially-engaged art projects and community partnerships! CAM is closed Sundays, all University and State of Florida holidays, and between exhibitions. Groups and organizations interested in tours of the exhibition should contact CAM to schedule at least two weeks in advance at (813) 974-4133. The University of South Florida Contemporary Art Museum (USFCAM) is fully accessible to visitors with disabilities. There are disabled parking spaces outsde of the museum, an accessible entrance, good lighting and accessible restrooms. USF guidelines regarding service animals. USFCAM faculty and staff are pleased to work with organizations that provide cultural opportunities for disabled clients to tour the Museum. Please call (813) 974-4133 two weeks in advance to request specific tour information. For more accessibility information please call (813) 974-4133. Interested in an internship at CAM or Graphicstudio? Visit our Internships page to find out how to apply and what deadlines you need to know. Click here to sign up for USF Contemporary Art Museum updates! The electronic images available on this site are subject to copyright and may be covered by other restrictions as well. 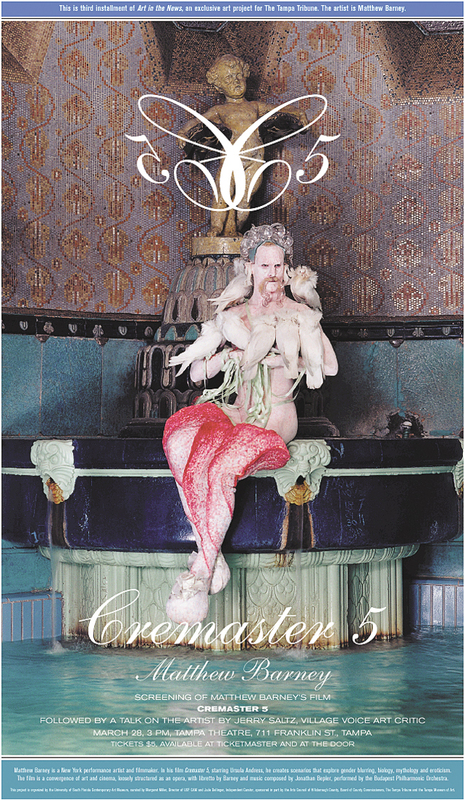 The images are made available to the general public for the sole purpose of representing the USF Contemporary Art Museum’s programs and collection. Copying or redistribution of the images in any manner without the express written permission of the University of South Florida Institute for Research in Art is strictly prohibited.